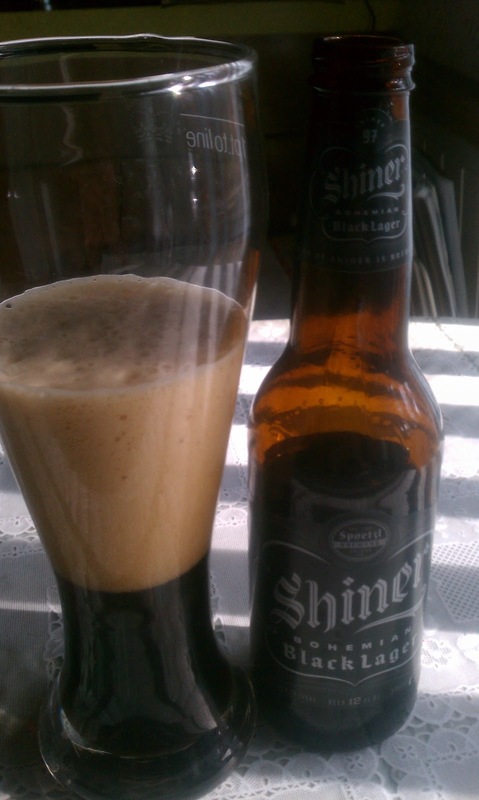 For those who have visited Texas and gone in search of good beer you know what a difficult search that can be. Now they're nowhere near as bad off as the southern states to the east but when you come from a beer rich environment like Portland, or even Minneapolis-St. Paul for that matter, the difference is immediately noticeable. That isn't to say that there isn't good beer to be found, it's just much harder to find. It is, however, reassuring to see some old favorites - Summit Brewing (St. Paul, MN) is available as is Deschutes - and then there are some other well known breweries like Ska and Harpoon. 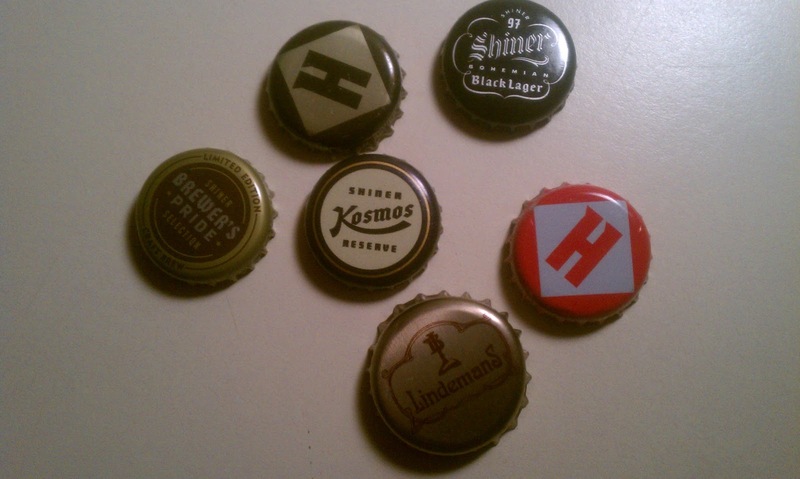 While I didn't find a wealth of beer, there was enough to make it through the short, three-night visit over Christmas, including a thoughtfully purchased six pack sampler of Shiner my dad picked up in advance of our arrival. An unintended "experiment" also yielded good results. 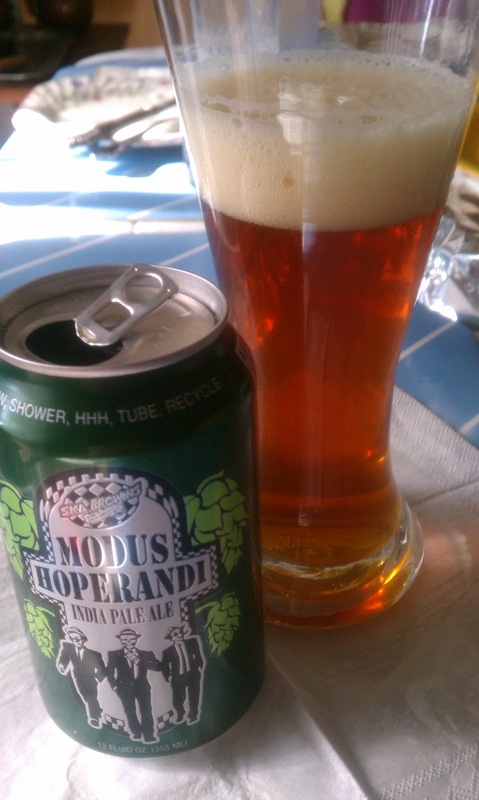 Upon opening the extra fridge to store the beer we had just purchased we ran across two bottles of Harpoon Leviathan Imperial IPA and two cans of Ska Modus Hoperandi. While they might have been better a year ago when I first purchased them, time hadn't treated them too badly and they were still quite tasty. Hopefully wherever your holidays were spent, be it beer rich Portland or beer poor areas of the country, you were able to find something tasty to accompany your celebrations. 'Tis the season of giving and being thankful for what we have. One of the many things I'm thankful for are my beer friends. I've said it many times that I firmly believe beer people - connoisseurs, brewers, owners - are some of the best people on the planet. I have countless stories of brewers and owners going above and beyond - opening up because we mistakenly showed up on a day they were closed for example - or having conversations with what were previously strangers at a festival or bellied up to the bar. One of the ways I have had the distinct pleasure of spending time with beer people - friends, acquaintances and strangers - is through bottle shares. And I've already been part of two in the first half of December. The first was a kind of pre-anniversary party at The Commons wherein they opened up their taproom and invited one and all for a bottle share and potluck. Then just this past weekend Jeremy, the owner of one of the great beer bars in town, opened his usually-closed-on-Sundays second establishment to a group of us to partake in beer and snacks all afternoon. So thank you, beer people, for all of the sharing you do. To the brewers who make amazing, creative beers. To the brewery/brewpub/bottle shop/bar owners who employ great people, open your space to us and donate beer to our events. To the beer geeks who acquire beers from across the country, cellar beers for years on end and then happily share those beers. The 17th Annual Holiday Ale Festival was put to bed Sunday night and off came the wristband that had been my constant companion for the last five days. If you wanted to go, I hope you had a chance to. I was fortunate enough to be able to go both Wednesday and Friday, arriving shortly after the gates opened and therefore having very minimal crowds to deal with. There was however a notable difference between the two days with Friday's crowd building faster. Thanks to a friend who was a real trooper, showing up all five days of the festival, we had a table to drink and chat at even as the space filled up. If you recall from my preview post, I had 13 beers on my must drink list. I was able to try all but one - Full Sail 2011 Black Gold - as well as a handful of additional beers. Those that made the festival worth attending were Cascade Brewing Diesel #2, The Commons Boysen, Widmer Brrrbon Vanilla, Crux Fermentation Project Snow Cave and two of Wednesday's special release, 2 ticket beers - 2005 Samichlaus and 2008 Ten Fiddy. Both of those beers were well worth the extra tickets and although I know I'll have to live on the memory of those alone I do hope to find some of the other beers around. It sure would help ease the chill of winter to sip and savor their deliciousness.